Rich and robust meat dishes are the specialties of the festival of Eid. Mention Eid and the thought of hearty meat curries and kebabs immediately come to our mind. Rich and robust meat dishes are the specialties of the festival of Eid. Two such significant meat dishes that are enjoyed to celebrate the festival are Haleem and Nalli Nihari. You may have heard of them or even tried them before, but do you know how they're different and why they hold a special place in Eid festivities? Haleem is an exquisite mutton stew with blends of meat, broken wheat, lentils and spices. Nalli Nihari, on the other hand, is a flavoursome meat curry with tender mutton pieces and bone marrow which is known as Nalli. While one is a porridge-like thick gravy with everything blended together, the other comprises of whole spices and succulent mutton chunks. Haleem is mostly enjoyed with a simple Moti Roti, but for Nihari you'd like something a bit more extravagant like a Varqi Parantha made with desi ghee. 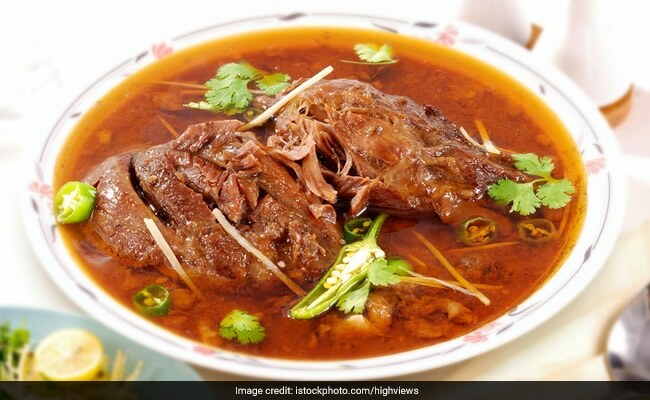 As far as the origin of both the dishes is concerned - Nalli Nihari is believed to have been created in the royal kitchen of Mughal kings in Old Delhi while the Haleem belongs to the era of the Nizams of Hyderabad. The origin of Haleem can be traced way back to the 6th Century Persian King Khusrow. It is believed to have been known as Harissa or Harees in many Arab countries and the Arabs introduced this popular dish to the Nizam's soldiers in Hyderabad. In 2010, the Hyderabadi haleem was give the status of Geographical Indication Status (GIS) which makes it the first non-vegetarian Indian dish to receive such a designation. 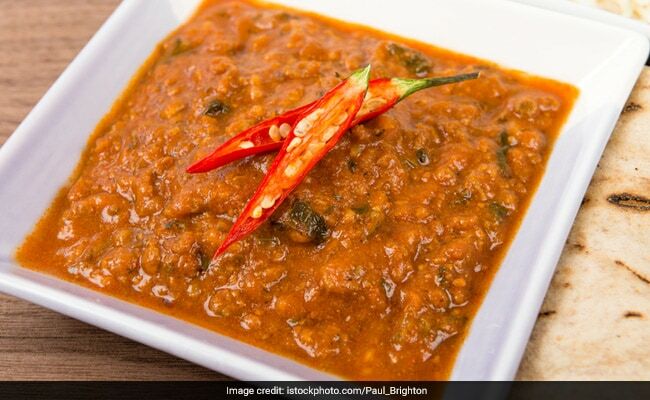 Traditionally, Haleem should be cooked in a copper pot over firewood for at least twelve hours to derive all the sumptuous flavours of the ingredients and garnished with fried onions before being served. Haleem is, undoubtedly, the star of an Iftar meal. It is great to end your fast with as the dish is full of protein, fiber and carbohydrates which provide all the nourishment that your body needs after a daylong fast. In contrast, Nalli Nihari is considered to be a very famous breakfast dish and is enjoyed on Eid after reciting the first Namaz prayer early morning. The word 'Nihari' has been derived from the Urdu word 'Nihar' and the Arabic word 'Nahaar' meaning day. Many believe that it was first created somewhere in the lanes of Old Delhi during the Mughal Era in the 18th century while some say that it was born in the royal kitchen of Awadhi king. Nihari is slow-cooked dum-style, till the meat literally falls off the bone, in large vessels that are sealed with dough. These vessels are known as shab deg and it is usually left to cook overnight. A variety of 50 spices like cardamom, nutmeg, star anise, cloves, cumin and many more are used. It makes for a wholesome dish with Varqi Paratha or Khameeri Roti and is quite heavy. This is probably why, people in the olden days, ate Nihari for breakfast early morning so that it would keep them full until their afternoon prayers. Even during the Ramzan fasts, Nihari makes for a great Sehri dish as it a complete meal that can give you all the energy needed through the day. Whether you prefer Haleem or Nihari, both these glorious dishes add their own charm to the special occasion of Eid and are absolutely worth indulging in on this day.